The Pentagon and the CIA have a contingency plan in the event of failure of the dialogue in Libya. The plan proposes to support the Libyan National Army, and will support a wide-scale military operation, to restore security. In a telephone conversation with ‘Secretary of Defense-designate Massoud Orhomh authorized’ ..
“You are required in leadership,” and it reached its Colonel Aoun Ferjani (director of the Adjutant General’s office from the Libyan Army under Khalifa Hftar) ..
and then I was released .. Thanks to God, then Allah blesses Hftar and the team Khalifa Hftar for they are the reason for the existence of our ‘Majid al-Nuwaab’ and our Libyan Army and the ‘Ministry of Defense’. Prophet know Arhovernm does not represent the official nor in the face al-Rajaban. Comments brothers al-Rajaban make strange comments yesterday through Zintan brother ‘Colonel Ali Idris story material’. O people Ansu official of anyone I’m from your city or your tribe. Balash Doh empty and you have rounded the mercy of Allah. May Allah give you happiness ! The combined forces of the army and support troops stationed in all axes directing you greetings and appreciation so be of help for you to pray for them. The return of the series of power cuts to most areas of the Great Jamahiriya to varying hours. This image from the source of the Chamber of main control, Onzero to the size of the injustice suffered by some cities and not others to ask loads by a few policy made sure that the electricity will be cut from Tripoli for more than 8 hours per day from the end of this week until the end of the month of Ramadan and may continue according to their desire and also we made sure that some regions and cities surrounding Tripoli will not be beyond the pale put loads program for several reasons, political this military and the most important and Allah Facts put it and we write to you and we are working with them and we know a good dirty hand Tripoli policy private image has been photographed from a computer inside the control room this morning ..
of al-Ariue in the CORNER. Chaos within the city shortly before the corner. director of Information Office of the ‘Central Bank of Libya’. 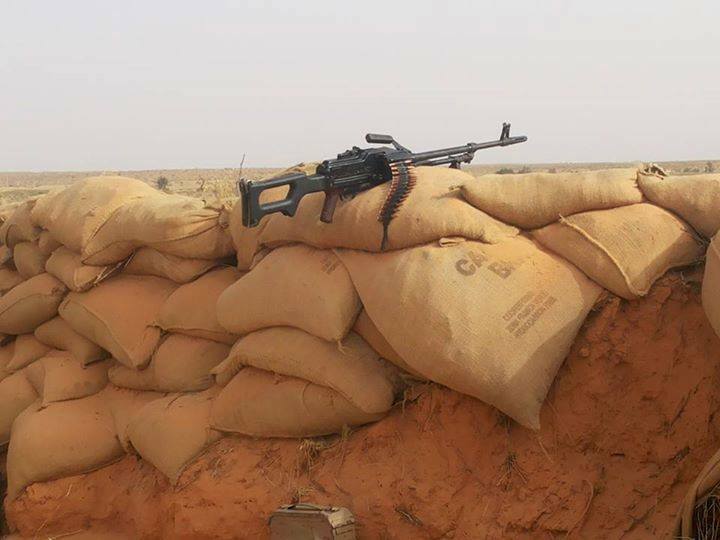 Robbery by force of arms, upon a citizen, and the theft of an amount of 50 thousand dinars, by masked men traveling in a car Colv GTi, who fled from within the project area of al-Hillholazu. FLASH ..rmih dense and heavy weapons now Tripoli Airport Road ..
Found an unidentified body. Anyone who recognizes him, please go to Zintan hopsital where the corpse hase been transferred to. ‘Zintan TV channel’ will be airing (within the next few days), an entire episode ‘on the air with the hero Saif al-Islam Kadhafi‘. and has been an exchange of fire in front of people led to the injury of three children. Hadi sample of contingency Zuwarah and smolts from Nook with them and how Ataamilo with travelers from the gate who Mdayrin where adequate 7 !! And Khalikm with Hedda Bakabonde who Aahz Besban in his veins! And Ieit word Tzvi whole mountain !! Destiny Taihtoh O our people in the mountain! Hedda who confuses his soul with smolt Mazel Hachevo them contingency Djerba !! 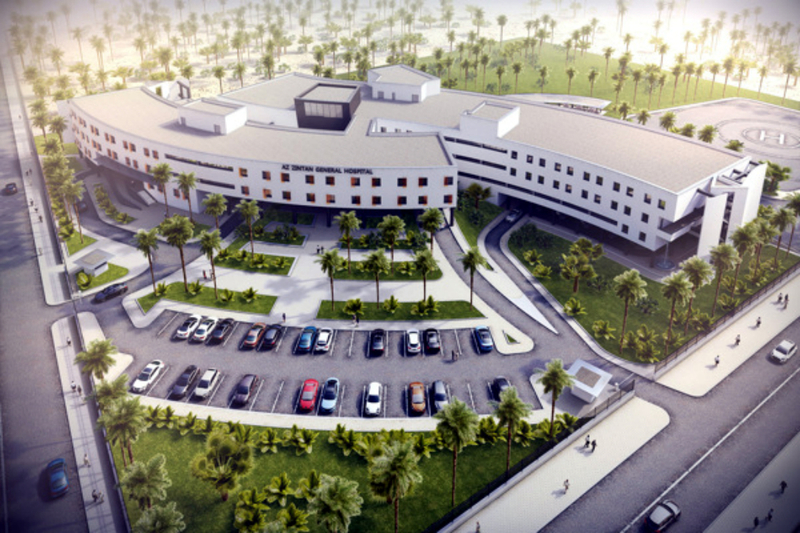 Video shows security and safety in ‘Ras Jedir crossing’ wedge our intention discounted Zuwarah Royal crossing !! هادي عينة من طوار زوارة ومعاهم فروخ من الزواية وكيف يتعاملو مع المسافرين من البوابة اللي مدايرين فيها كاف 7 !! وخليكم مع هدا البقابوندي اللي يشحظ في عروقه بسبان ! ويعيط بكلمة ‫#‏طز‬ في الجبل كله !! القدر طايحتوه يا اهلنا في الجبل ! هدا اللي يخلط روحه مع الفروخ مازل حاتشوفو منهم طوار جربة !! فيديو يوضح الأمن والأمان في معبر رأس جدير اسفين قصدنا معبر خشم زوارة الملكي !! 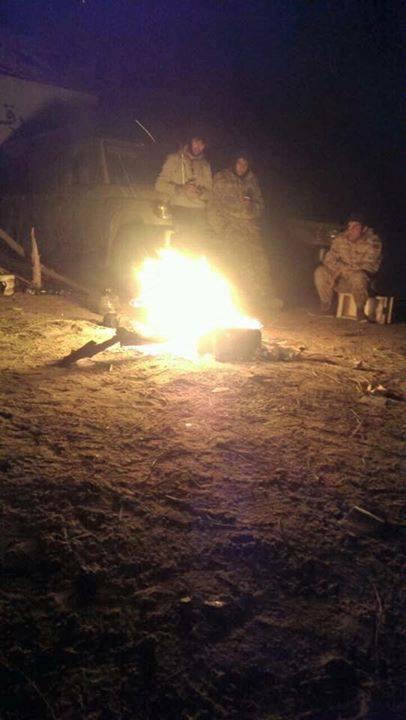 Wounded in an armed attack at the gate of the mouth of Melgh in Tarhouna. 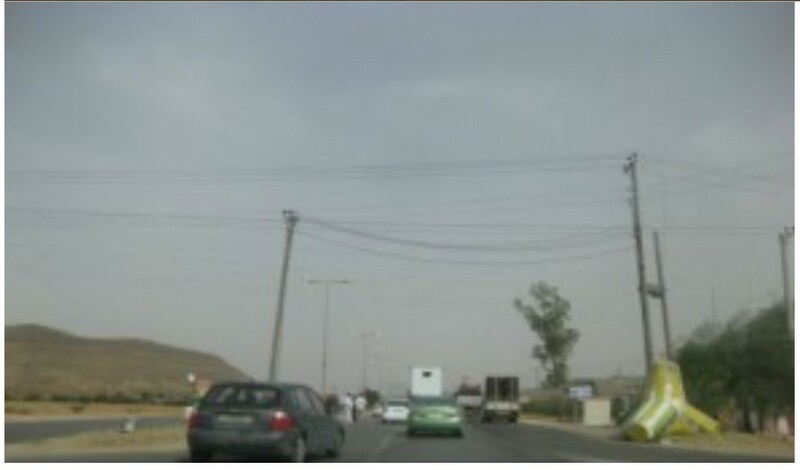 An armed attack on a checkpoint in the gate mouth Melgh at Petrhonh, where there occured the abduction of a number of elements present at the point. They seized their weapons and their vehicles, and opened fire on the others after they tried to stop them. Dead and wounded and the kidnapping of four guards belonging to the 126 Battalion, in an attack on the gate “mouth Melgh” Petrhonh. An armed attack of the elements of Daash terrorist militias targeting terrorist militia ‘Roma Libya’, resulting in the death of seven members of ‘Roma Libya’. 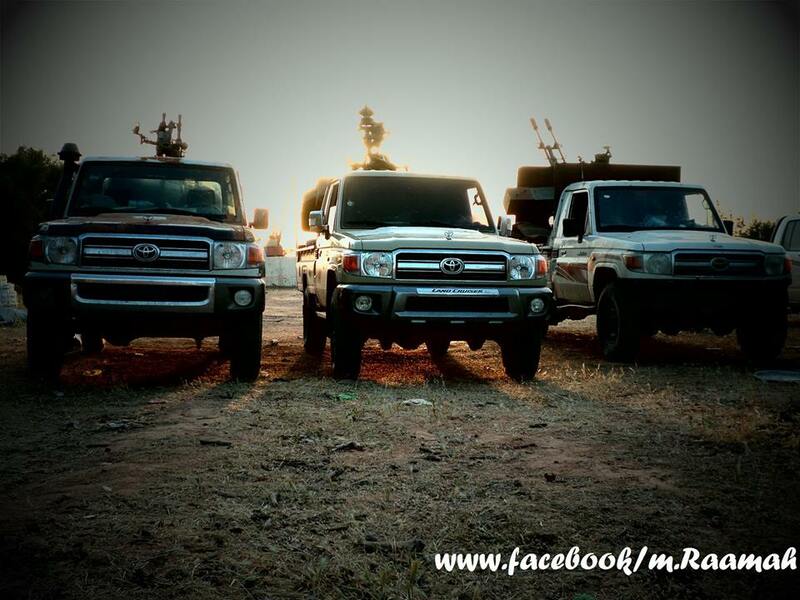 Three of them have been killed at Dbha, in the extended region between al-Oshch and ‘the stopper’. General Hospital in Misurata, receives 7 dead militiamen of ‘Roma Libya’ who were killed at the ‘stopper gate’, who were shot and slaughtered with knives, last night from ‘DAASH’. 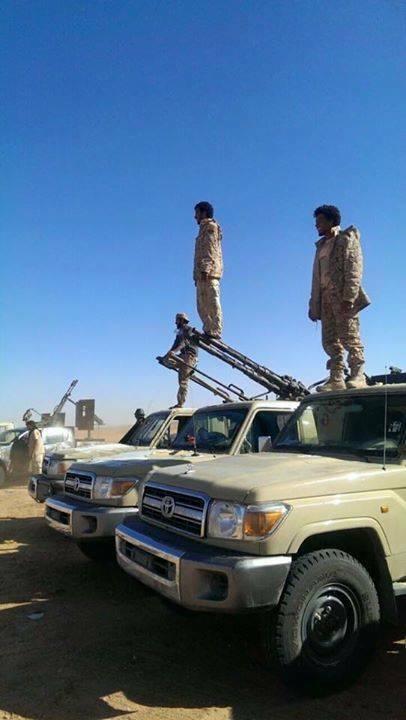 The closure of the road link between the cities of Misurata and Sirte. DAASH attempting to take-over the OIL CRESCENT ! and were advancing towards Port Sidra. 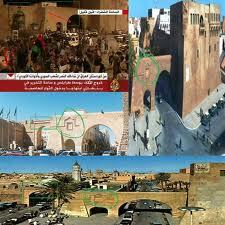 and the best proof, is ‘gate Boukran’ and the sealer and al-Oshch. 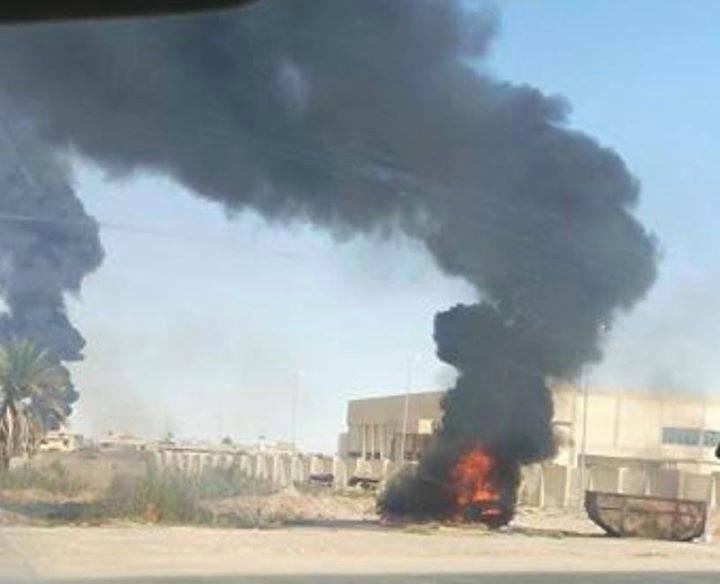 We see from time to time, MISURATA‘s poor quality of operations against the ‘DAASH’ militias. 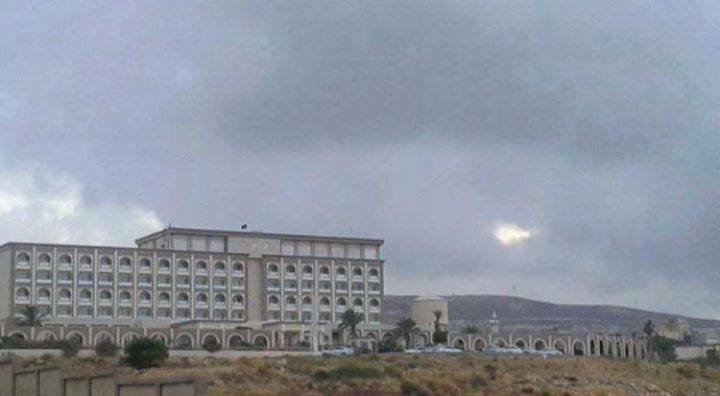 Daash the terrorist organization seizes the ‘Pearl Hotel’ in TUBER and is forcing the hotel-staff to leave. near the center of the deaf and dumb. CORRUPT, surreal, murderous and Bizzaar: ‘MAN-MADE’…WAHHABIISM is NOT the intended Muslim faith revealed to mankind since the ‘Divine Creation’ by Allah (ALONE, and NOT BY MAN), which true-faith has been continuously revealed by His Holy Prophets through all ages, the last being Mohammed (PBUH) ! 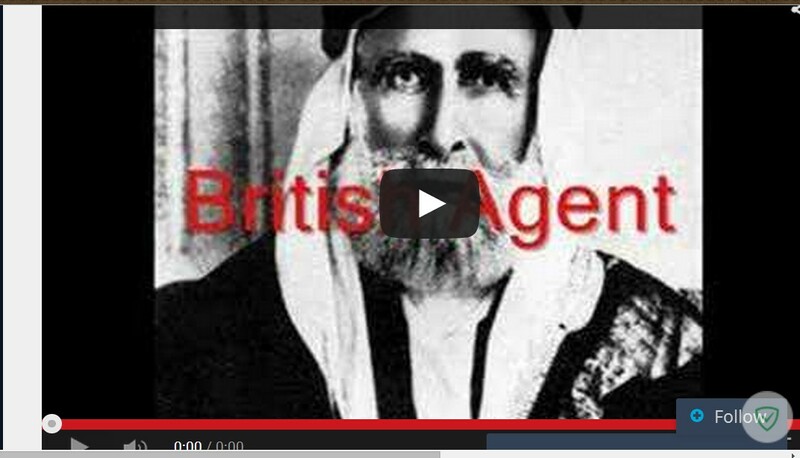 The Masonic origins of the WAHHABI movements, and their true goal is to undermine Islam and fight for Western Zionist Powers. The ‘Muslim’ Brotherhood is money. Together, the Brotherhood probably controls several tens of billions of dollars in immediate liquid assets, and controls billions more in day-to-day business operations in everything from oil trade and banking to drug-running, illegal arms merchandising, and gold and diamond smuggling. By allying with the ‘Muslim’ Brotherhood, the West is not merely buying into a terrorists-for-hire racket; they are partners in a powerful and worldwide financial empire that extends from numbered Swiss bank accounts to offshore havens in Dubai, Kuwait and Hong Kong. Under the tyranny of the ‘Muslim’ brotherhood MORSI regime in Egypt, before the present POPULAR REVOLUTION (led by the people and al-Fateh Sisi), reports surfaced that the Muslim Brotherhood was setting up torture chambers for their political enemies. When Morsi was deposed, the Egyptian military discovered a treasure trove of documents linking the Obama regime with the illegal activities of the ‘Muslim’ Brotherhood. One such document is a list of ‘Muslim’ Brotherhood officials receiving secret bribes in U.S. currency, paid out by the U.S. consulate, amounting to millions of dollars. Investigative journalist Jerome Corsi has obtained a copy of the document held by the Egyptian military, proving the Obama regime sent millions of dollars in bribes to the ‘Muslim’ Brotherhood. But who was managing all of this money? Did the ‘Muslim’ Brotherhood walk around with hundreds of thousands of dollars in their pockets? Enter Malik Obama, Obama’s half brother. The President’s brother…is one of the architects of the major investments of the ‘Muslim’ Brotherhood. We’re not just talking about the bribes the ‘Muslim’ Brotherhood received in Egypt, but the entire ‘Muslim’ Brotherhood finances – worldwide – that more than likely included an astounding 7.13€ billion dollar bribe to the ‘Muslim’ Brotherhood made by the Obama regime. The bribe was payment to guarantee that the huge tract of Egyptian land, the Sinai Peninsula, be turned over to the Muslim Brotherhood sister group Hamas. According to Egypt Daily News, a document exists showing the eight billion dollar “holocaust” agreement with the Obama administration that was signed by former ‘Muslim’ Brotherhood President Mohammed Morsi and his second in command Khairat al-Shater, both under arrest by the Egyptian military for murder and treason. Does this document really exist, showing the 7.13€ billion dollar bribe signed by Obama or one of his representatives? According to Khairat al-Shater’s son, Saad Al-Shater, prior to being arrested by the Egyptian military, his father was in possession of information linking Obama with the ‘Muslim’ Brotherhood that he says would put Obama in prison. 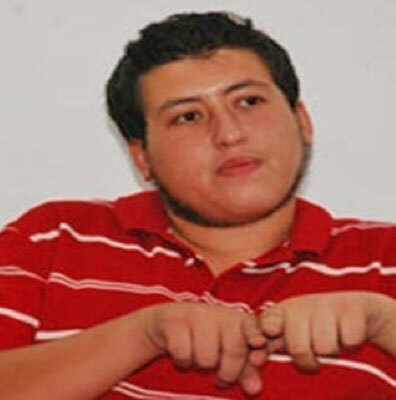 In an interview with the Anatolia News Agency, Saad al-Shater, the son of a ‘Muslim’ Brotherhood leader, the detained Khairat Al-Shater said that his father had in his hand evidence that will land the head of United States of America, President Obama, in prison. If the Egyptian military releases this document, it would no doubt spell the end of the Obama presidency, bringing impeachment, a long prison term, and perhaps even the death penalty. Was the Obama administration paying bribes as large as757,710.82€ a year to the Morsi government that were distributed by top ministerial level officials to Muslim Brotherhood leaders, with the direct involvement of the U.S. Embassy in Cairo? WND is in possession of an official document from inside the Morsi government that lends credibility to a report published in Arabic by an Egyptian newspaper in Cairo that lists the charges brought by the current military-controlled government against Egyptian Muslim Brotherhood leaders. 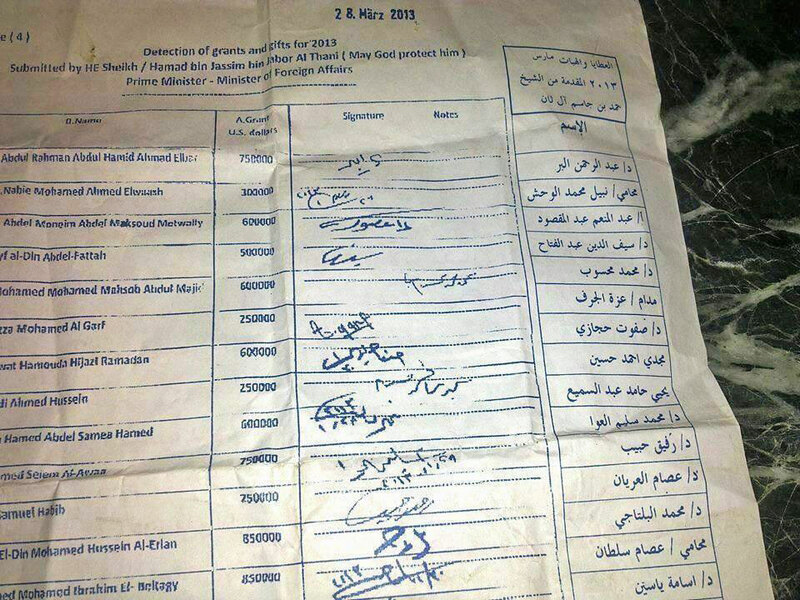 As seen above, WND has obtained official records from the deposed Morsi government in Egypt, with signatures, documenting monthly “gifts” paid to Muslim Brotherhood leaders in Egypt by the former prime minister and foreign minister of Qatar, Hamad bin Jassim bin Jabor Al Thani. The document was seized from Egyptian government offices in Cairo when the Morsi government was deposed by the military July 3. 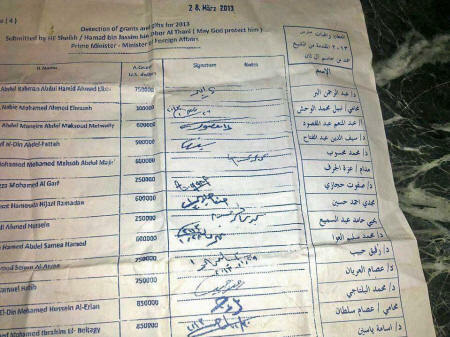 As translated by former PLO member and native Arabic-speaker Walid Shoebat, the monthly “gifts” listed in the document amount to bribes paid by the Morsi government to leading Muslim Brotherhood members in Egypt, including an annual payment of668,568.37€ to 757,710.82€ in U.S. dollars. Shoebat explained to WND the names listed on the Egyptian government document correspond to information the Egyptian newspaper al-Mesryoon has just published in Egypt reporting that the Cairo district attorney’s office has begun investigating alleged bribes the U.S. has paid through its embassy in Cairo to the Muslim Brotherhood. Shoebat stressed to WND that the signatures seen in the document mean it could be used as evidence in the upcoming trials of key ‘Muslim’ Brotherhood leaders, slated to begin Aug. 25 in Cairo. Shoebat also noted that the names listed in the document match the names in the Egyptian newspaper Almesryoon, including Mohamed Beltagy. Reading closely the al-Mesryoon report, Shoebat concluded the document is likely to be among the evidence the current government of Egypt plans to introduce in its prosecution of the ‘Muslim’ Brotherhood leaders. The charges being brought in Cairo next week include not only bribes being taken in U.S. dollars from the U.S. Embassy, but also murders and assassinations, prison escapes, sniping at and the indiscriminate killing of demonstrators, and spying or being a double-agent collaborating with foreign governments, including both the U.S. and Qatar. “The criminal charge being reported against the ‘Muslim’ Brotherhood leaders in Cairo suggest these are major trials about to start,” Shoebat explained to WND. The Obama administration’s call for the release of Muslim Brotherhood leaders in Egypt is inexplicable. The trip to Egypt by Senators John McCain (R-AZ) and Lindsey Graham (R-SC), during which they called for the same thing is even more inexplicable, especially since both men are demanding answers in Benghazi. Yes, we know Obama’s leanings but why the rush to release these prisoners and not shine a spotlight on them? If the details of an interview with the son of one of those imprisoned leaders is any indication, we may be getting closer to answering that question. We caution that the following be taken with a grain of salt but considering who said it, we thought it newsworthy too. 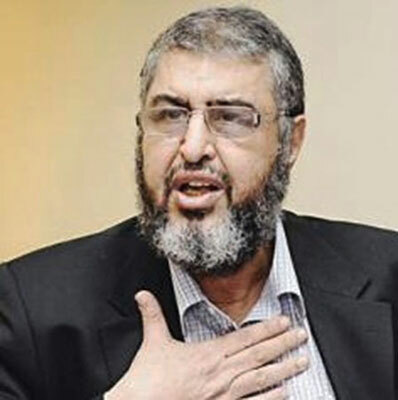 In an interview with the Anatolia News Agency, Saad Al-Shater, the son of a Muslim Brotherhood leader, the detained Khairat Al-Shater, said that his father had in his hand evidence that will land the head of United States of America, president Obama, in prison. He stressed that the senior U.S. delegation currently visiting Egypt, knows full well that the fate, future, interests and reputation of their country is in the hands of his father, and they know that he owns the information, documents and recordings that incriminate and would condemn their country. Such documents, he says, were placed in the hands of people who were entrusted inside and outside Egypt, and that the release of his father is the only way for them to prevent a great catastrophe. He stated that a warning was sent threatening to show how the U.S. administration was directly connected. The evidence was sent through intermediaries which caused them to change their attitude and corrected their position and that they have taken serious steps to prove good faith. Saad also said that his father’s safety is more important to the Americans than is the safety of Mohammed Morsi. Khairat al-Shater: Does he have the goods on Obama? When Saad’s comments are viewed in the context of the bizarre behavior of U.S. officials, it provides the best explanation to date for extremely irrational and inexplicable behavior of those officials. First, the interview with Saad was dated 07 August 2013. The reference made to “senior U.S. delegation currently visiting Egypt” is presumably a reference to McCain, Graham, and Deputy Secretary of State Bill Burns. During that trip, McCain and Graham both called for the release of ‘Muslim’ Brotherhood leaders with McCain making news by calling Morsi’s ouster a “coup”. Graham suggested that Egypt was “looking into the abyss” and then suggested releasing Brotherhood leaders was the path away from it (huh?). In an interview with CNN, McCain named al-Shater specifically when asked about individuals that could negotiate a future Egyptian government. 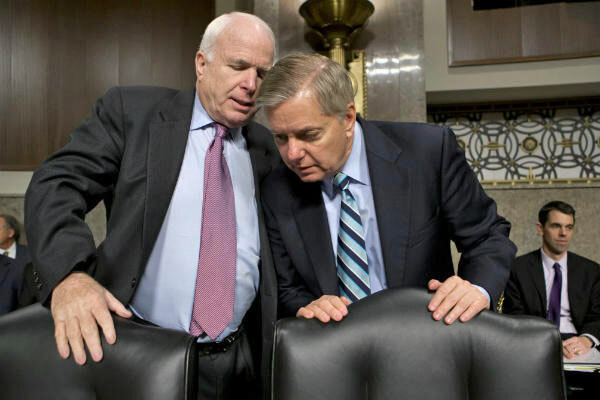 McCain and Graham: Schizophrenia or self-preservation? In what may be an effort to play both sides of the fence, Graham was one of eight Congressional Republicans who sent a letter to incoming FBI Director James Comey, just days before Graham went to Egypt. That letter demanded more answers over what happened in Benghazi. Such a demand, coupled with his call for the release of individuals who, probable cause suggests, should be investigated over Benghazi is beyond curious; it’s schizophrenic. The two Senators were clearly throwing bones to the Brotherhood. Such behavior makes no sense. It would, however, if Saad al-Shater is telling the truth; it would also eliminate schizophrenia as a cause. Second, how about Saad’s claim that his father’s safety is more important to the Americans than is the safety of Morsi? 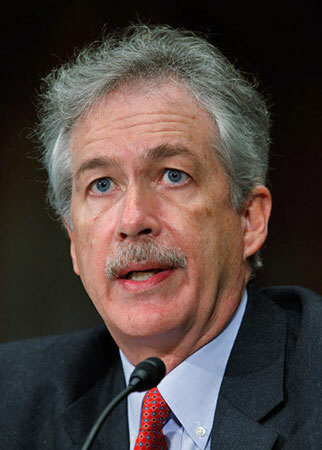 This is where we’d like to introduce Deputy Secretary of State Bill Burns. While Graham and McCain were busy sucking up to the Brotherhood in Egypt, Burns visited one of its leaders in prison. He didn’t visit Mursi; Burns visited al-Shater. Reports put that visit at about 90 minutes, despite attempts by both parties to play the visit down. As we reported in EXHIBIT A-1 of Addendum A, al-Shater is implicated in weapons trafficking through the Sinai and into Gaza as well as negotiating prisoner releases in exchange for terrorists. He has also been jailed multiple times. Why would the United States’ #2 diplomat traipse over to Egypt to talk with a jailed ‘Muslim’ Brotherhood leader? We can’t answer those questions but we can say that Saad Al-Shater’s alleged charges make more sense than the behavior of U.S. officials. We’ve received feedback from more than one person who doesn’t like our including the “take it with a grain of salt” line in this post. 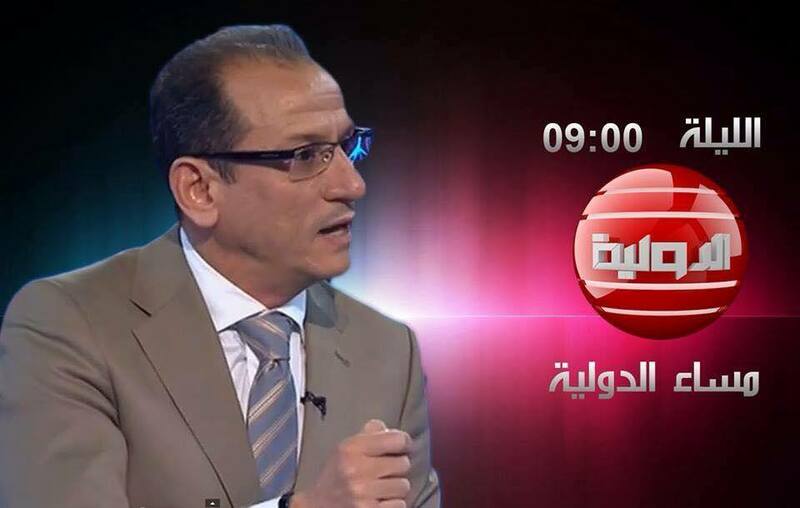 Just to clarify… We have no doubt that Saad Al-Shater interviewed with Anatolia News Agency and said what he said. In fact, that’s the main reason we decided to post about it. We’re simply cautious when relying on the veracity of a witness who happens to be the son of a terrorist and who supports his father’s ideology. We stand by the sourcing. Due to being unable to independently confirm that Anatolia News Agency actually interviewed al-Shater, we are issuing a disclaimer. We stand by our translation and we initially felt somewhat confident reporting this because so many Arabic sources reported it as well. However, with no original source available, we would like to make clear that any of the aforementioned claims attributed to Saad al-Shater cannot be confirmed. Contravery Upon the Death of Thomas Sankara…. 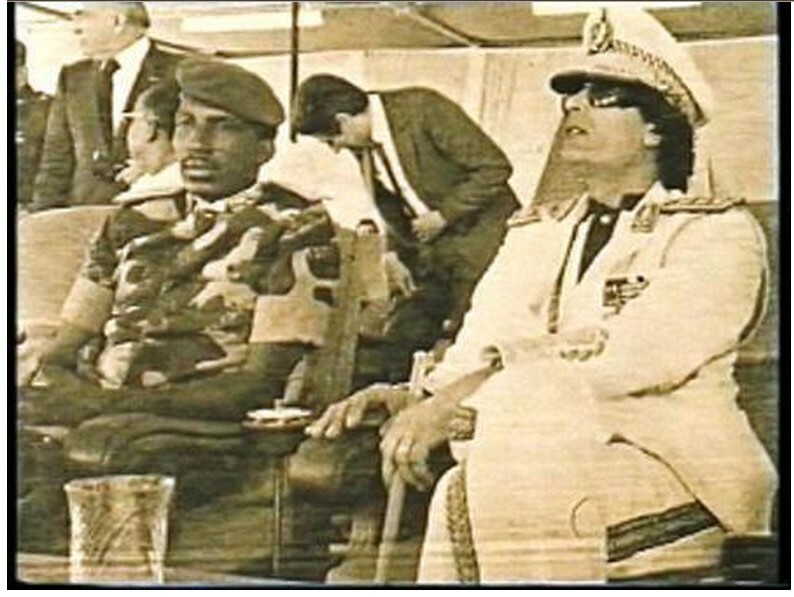 PICTURE (BELOW) shows Thomas Sankara and Mu’ammar al-Qathafi together. 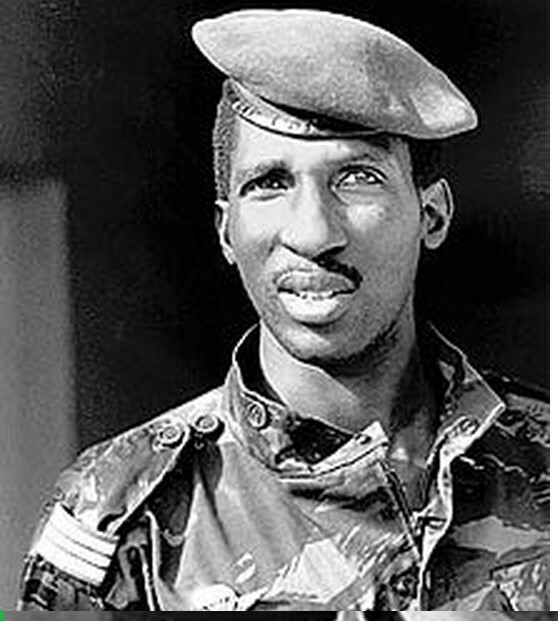 SANKARA: Who Killed the “Lion King”? ARABIAN SUMMER OR NATO’S FALL? JAMES FETZER’s note: NATO’s intervention in Libya has caused me profound concern on multiple levels, since it entails attacking a sovereign nation that has not attacked us and demonizing a leader who, so far as I can tell, has done well by his people. I recommend this blog, by Christof Lehmann, a psychologist from Denmark, and another by Michel Chossudovsky, the editor of Global Research, who also discusses the role of the Western media as “an instrument of war”, where NATO‘s crimes are obfuscated, “killing the truth” is an integral part of the military agenda, reality is turned upside down and the lie becomes the truth–which, alas, becomes more and more difficult to discern. And now, without any doubt, we have another war, this time thanks to Barack Obama. The sudden onset of what the corporate media and NATO want to brand as “The Arab Spring” has turned into a bloody Arab Summer, rapidly approaching Fall and global conflict. What is the reality behind the massive psychological and kinetic warfare operation that is turning the Middle East upside down? Approaching fall, even mainstream corporate media begin to report what reliable sources have reported since the onset of the Arab Spring. NATO special forces have been on the ground in Tunisia, Egypt, Libya, even before the uprisings began and gained momentum. Reports from our source in Damascus confirm that NATO Special Forces are also on the ground in Turkey and Syria, preparing for yet another invasion of a sovereign country. Turkey‘s Erdogan government is now training ‘Muslim’ Brotherhood and Al Qaeda fighters for combat in Syria, while its military is preparing air and ground campaigns under NATO Command. NATO backed terror units and death squads are on a wild rampage in Syria. The first victim of war is the truth, yet the truth has absolute primacy in attempting to achieve peace and justice. NATO is preparing the invasion of Syria and campaigns against Iran. The point where NATO´s aggressions will elicit serious political, economic, and eventually military responses from Iran, Russia and China is about to be reached. The world is heading towards global war, while corporate media in NATO countries sale the confused public narratives of Arab Summers and Singing Tomorrows. Reliable sources have reported about strong CIA and MI6 activities related to the so called Arab Spring in Tunisia and Egypt, where neither the Tunisian nor the Egyptian change could have been brought about by disgruntled, disenfranchised youth, intellectuals and workers alone, without the presence of massive pressure from within the USA and EU. The uprisings are best analyzed by their results. With regard to Tunisia, the product is a new government that is an even more reliable proxy for US and EU interests. With regards to Egypt it is a military government, sharia law, and the dismantling of women’s rights. This is hardly the singing tomorrows of democracy loving idealists. 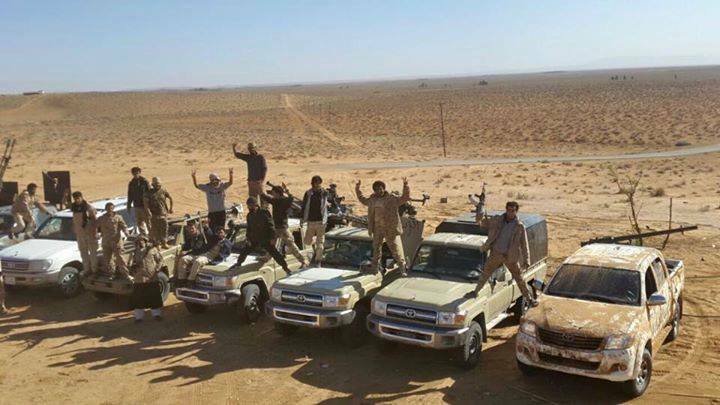 Reliable, independent sources have reported about the presence of NATO Special Operations Units as well as mercenaries with ties to the Muslim Brotherhood and Al Qa´eda since the onset of the Libyan conflict. 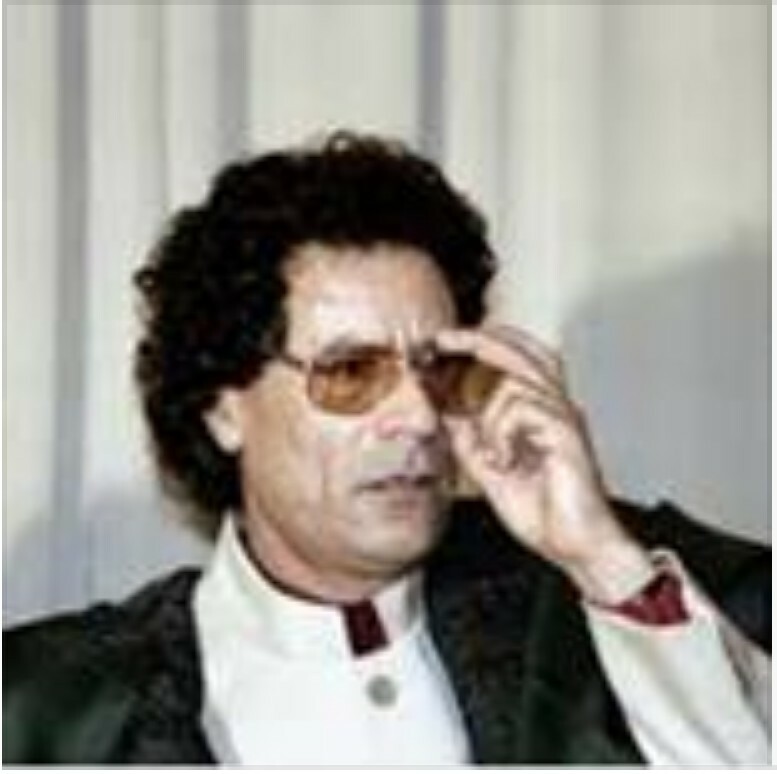 Latest since the Libyan pendant to “Black Hawk Down”, it was obvious for the observer who didn´t get his news from NATO PR-machines like Al Jazeera, CNN, and National Radio / TV in the “Free West”. Reports from independent journalists on the ground, like historian Dr. Webster Griffin Tarpley, Thierry Meyssan, and well-connected journalists, such as the life-long peace activist, journalist, and former CIA asset, Susan Lindauer, offer proof beyond reasonable doubt that the armed gangs that were sold as “democracy hungry” youth were in fact NATO-lead Al Qa´eda and ‘Muslim’ Brotherhood Mercenaries. This truth was vividly omitted by the free western press, which has sold the narrative of singing tomorrows, and neglected to report how peaceful citizens, who protested for democracy and freedom, were mercilessly butchered by “al-Qathafi Forces”, so that a UN Resolution for the implementation of a “No Fly Zone” could be passed and implemented by “NATO” forces. Reliable sources within the US Army at Ft. Bragg and Pope Air Base in North Carolina have reported that preparations for Libya and Syria had been on the way months–long before the onset of the so called Arab Summer. 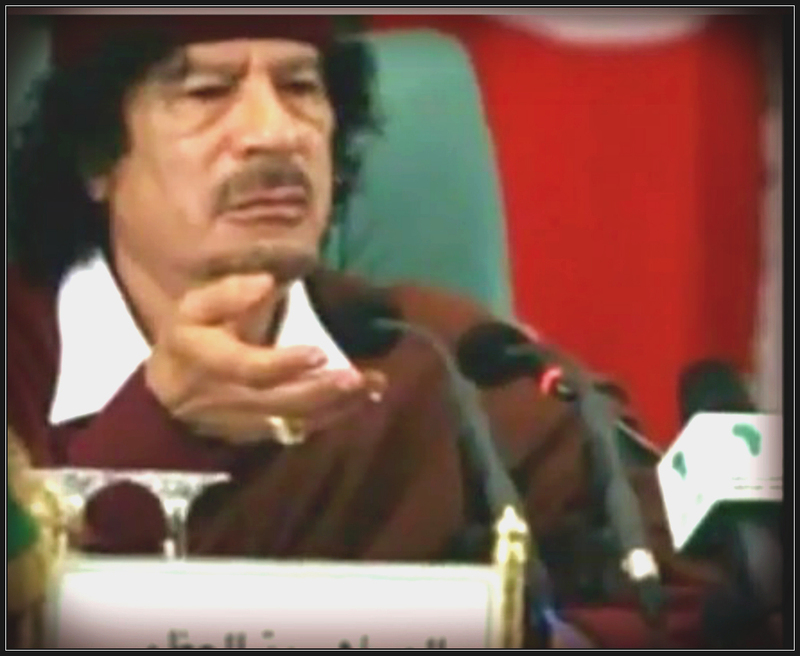 So what is the truth about the situation in Libya and what exactly is being prepared with respect to Syria? The Military Situation in Libya. NATO Psy Ops, Hollywood in Qatar, NATO War Crimes, and Changes in Strategy. Western Corporate Media reported that the “rebels” had approached and then conquered Tripoli, fighting down the resistance of Loyalist Troops, where viewers and readers are meant to believe that the “Transitional National Counsel” has taken control over Tripoli and most of the country. TV images show celebrating masses on Tripoli’s Green Square, now re-branded as “Martryrs Square”. 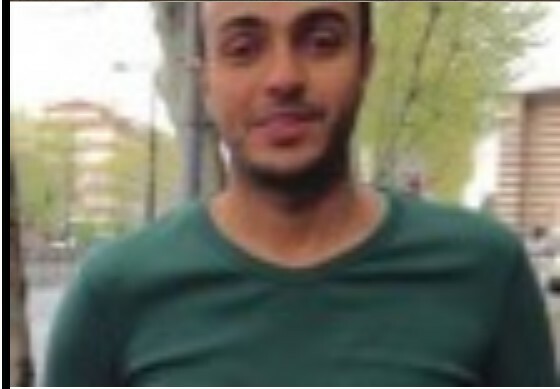 Reports that Saif Islam al-Ghadaffi had been captured have been propagated in the media together with equally false reports that the garrisons in Tripoli had surrendered or its troops fled. What happened in the real world, however, has been an entirely different story all along. The night prior to the invasion of Tripoli, NATO air forces carpet bombed military installations, TV and radio Stations, and a considerable amount of other infrastructure. Then NATO-lead mercenary forces disembarked from NATO War Ships, making an amphibian assault on Tripoli, while Apache Helicopters were straeffing civilians to open a way into the old city and central Tripoli. British fighter bombers assisted with Brimstone Rockets. Sleeper cells within Tripoli used the loudspeakers on minarets to give a signal for the death squads, which had infiltrated Tripoli, to conduct massacres on hundreds of key figures as well as random victims. 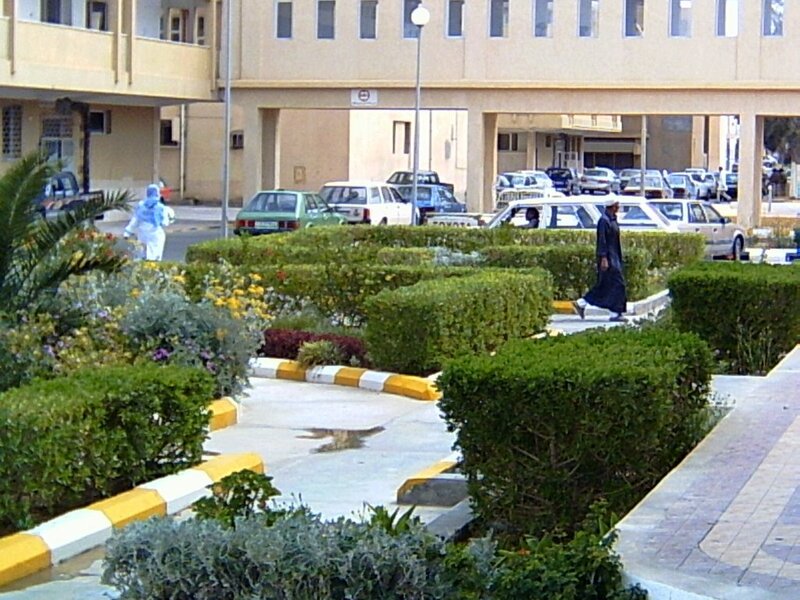 Hospitals in Tripoli reported 1,800 death and over 5,000 severely wounded. Most of them were civilians. What according to ‘al-Jazeera’ has seemed to be a disintegration of government forces was a carefully planned change in strategy. Given NATO‘s overwhelming air superiority, it would have been suicidal for government forces to stay in their barracks or to engage in open front-line combat. This change in strategy, which was a necessary adaption to asymmetric warfare, does not mean that an end to the conflict is anywhere near in time. On the contrary, this move guaranties that so-called “rebel” and probably also NATO forces will be engaged in a protracted conflict that could last years, where it is by no means certain that the military outcome will be what would be desired by NATO generals. The true looser of the conflict is the Libyan population. The only front where NATO can declare a victory is in the field of Psychological Warfare, but this front and victory is also being deconstructed. A closer look at the celebrating masses in the renamed “Martryrs Square” shows that these videos were shot in Doha, Qatar, and not in Tripoli. It was a staged celebration in the best Hollywood style. During the initial chock of the aerial and amphibious assault, such images could pass and have had their desired effect on the population of Tripoli. The outrage over being conned by NATO Psychological Operations Teams, however, will probably backfire with regards to pacifying the citizens of Tripoli. 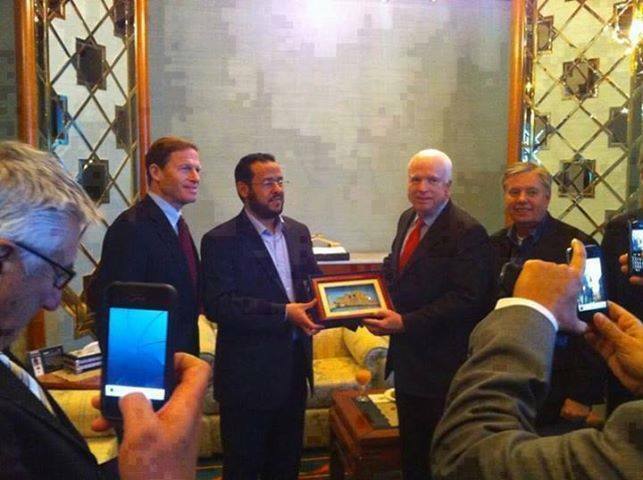 The NATO/Al Qa´eda Commander of Tripoli is no other than Abdel Hakim Belhadj, also known as Abdel Hakim al-Hasidi, former PoW of the USA. Regardless how many aliases he uses, this man is known for being a personal friend of Osama Bin Laden. Abdel Hakim Belhadj has made himself a name for murdering US and NATO Soldiers in Afghanistan, a fact which he reportedly brags about. 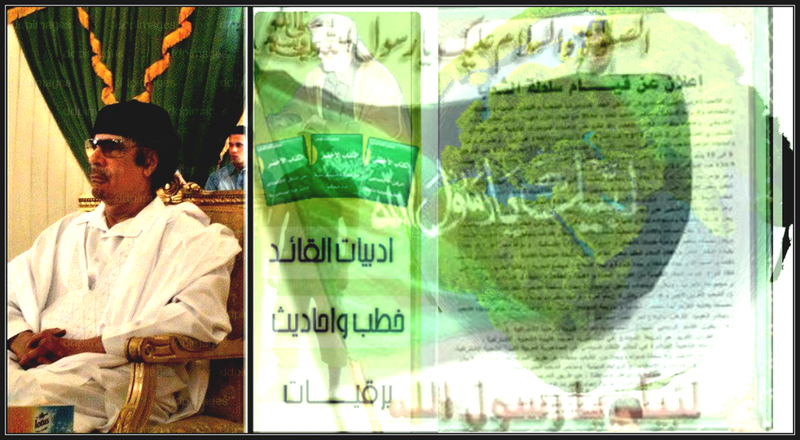 Knowing history and that Al Qa´eda is in reality a creature of US Intelligence, al-Hasidi is an ideal ally. Very much living up to his reputation, we are receiving reports about wide-spread massacres of civilians in Tripoli, summary executions of all black people who are unlucky enough not to hide from the “freedom fighters”, widespread abuse of women who don´t cover their heads, and other assaults and crimes against humanity, which provide ample evidence suggesting that Libya, until recently a modern nation, is about to regress back into its former state–during the dark ages before the revolution led by al-Qathafi and ousting of the Libyan puppet-Monarchy and King Idris. How much these rag-tag mercenaries would be worth in combat with loyalist troops without having massive NATO air support remains to be seen. 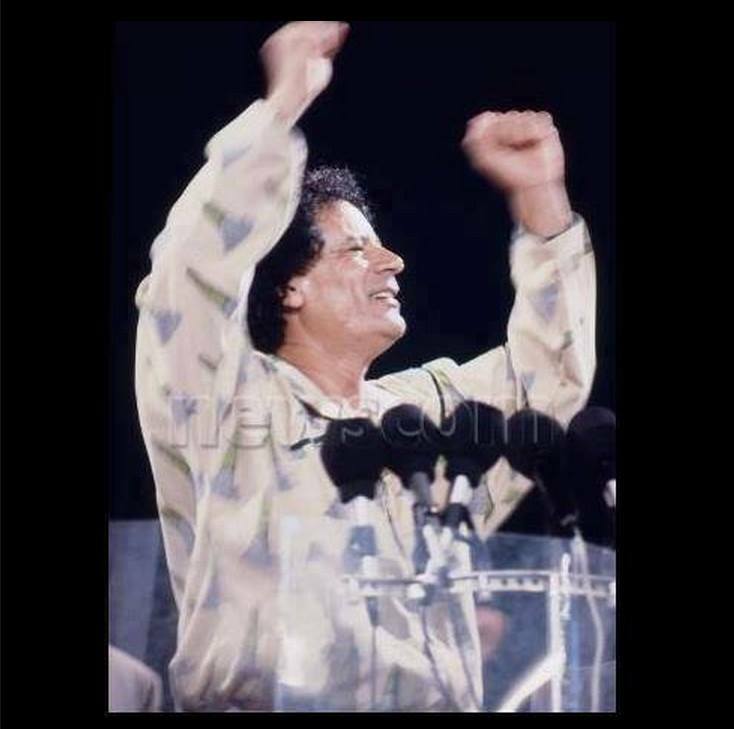 What is certain is that a Tripoli under the yoke of known terrorists, mass murderers, and Islamic extremists is anything but the singing tomorrows of pluralistic, democracy and freedom loving youths. 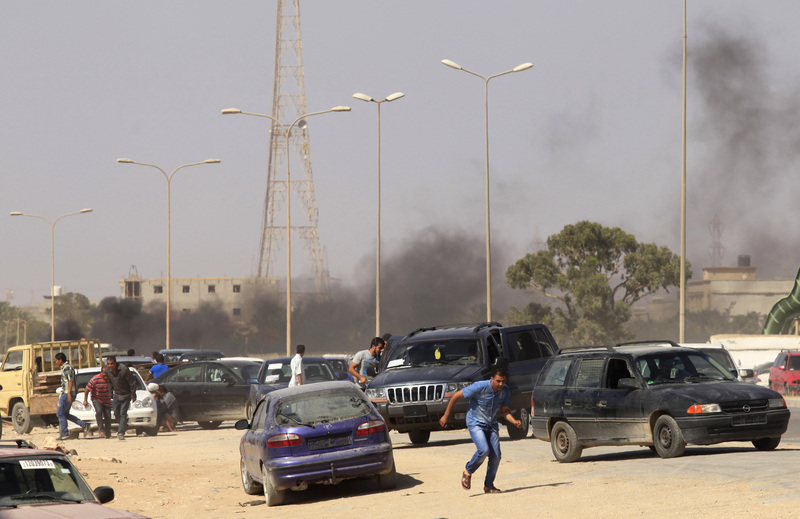 Tripoli and Libya will regress into bloody, protracted conflict that could last many years. It is this protracted conflict that probably will be used as the context for establishing a permanent US/NATO military bases in Libya within the framework of the U.S. African Command. A protracted conflict will also increase scarcity on the global energy market and thereby promote the interests of “Big Oil”. 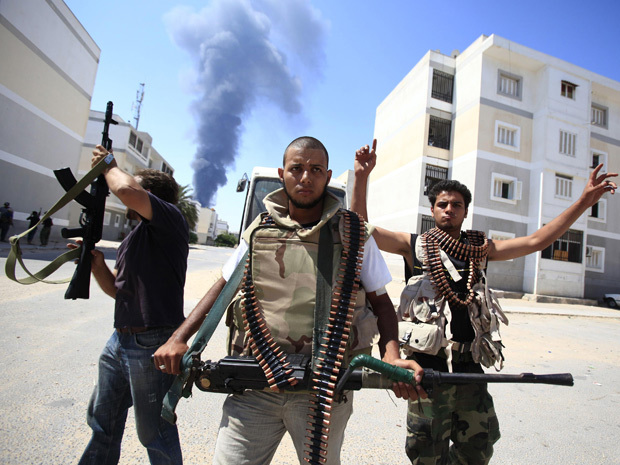 Libya and the International Terror Threat. These developments in Libya and in the wider Middle East, open cooperation between known terrorist organizations and NATO, with the global financial crisis, increase the likelihood that disenfranchised European and American populations will respond with violence: when you have nothing left to loose, you loose your self-control. It will be tempting for rogue, deep-state elements to plan and perform new false flag terror attacks. U.S. American and European populations, therefore, should be on the outlook for police or military exercises, “anti-terror drills”, and similar activities that usually precede false flag operations. Any attacks may well be blamed on al-Qathafi, Syria, Iran, or any of the organizations that are supported by them. The scripting in the corporate western media, including the discussion of chemical weapons in Libya, indicates that this is a threat that must be taken serious. Syria, Turkey, NATO and the E.U. While NATO Special Operations Forces already were training and arming Syrian ‘Muslim’ Brotherhood and al-Qa´eda mercenaries in Syria as well as on Turkish territory, with full support from the Erdogan government. Meanwhile, however, there have been meetings between Turkey, Germany and France, in-which all are now agreeing to make an open war with Syria. Like the Greek economy few months ago, the economy of Turkey is not invulnerable either. This sudden change in politics suggests that Turkey´s decades-long ambitions to join the European Union may have been utilized for high-jacking the population of Turkey as pawns in a new imperial project that could have disastrous national, and potentially global, consequences. Our US Army source within Ft. Bragg, North Carolina, confirms that preparations for an invasion of Syria and for air raids against Hezbollah in Lebanon as well as attacks on Iran have been in preparation for months. Taking the Mediterranean climate into account, any ground attack on Syria would have to begin and probably be concluded–or at least stabilized–no later than October. This implies that the Libyan campaign must be stabilized by October, too. Our source in Damascus is reporting honest attempts of the Syrian government to bring about reforms. In fact, it has proposed reforms that are far more far reaching than the original demands of the “honest” Syrian protesters, whose own political process has been high-jacked by imperial forces and mercenaries, where we will bring a special report from Syria soon. According to our own analysis and that of other independent analysts, an imperial NATO adventure that involves Syria will have enormous ramifications. Russia has her only navy base with direct access to the Mediterranean situated in Syria. 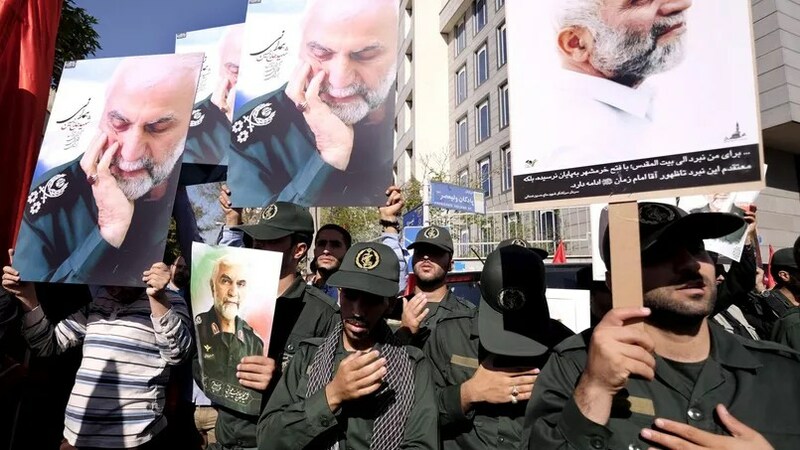 Iran can not stand idly by while its main Arab ally is attacked by NATO is almost certainly preparing itself militarily. This preparation will most likely involve Hezbollah. Besides making military preparations, Iran is also preparing itself economically by privatizing at least seven of its eleven oil refineries. This will lead to massive Russian and Chinese investments in Iran and thus to greater interest in protecting by means economically indirectly or directly, and, if necessary, by military interventions. Indirect conflict could manifest in the opening of a Hezbollah front and others incursions. Direct conflict would result in open global war, which is the final goal of “Zbig” Brzezniski and his school of politics, which is currently dominating thinking at the White House. On a wider perspective, it must be noticed that Iran has strategic and economic alliances with Pakistan, China and Russia. Pakistan has now asked the entire staff employed at the US Embassy to leave the country and, in the case of open NATO aggression against Syria or Iran, a Pakistani government would experience extreme internal pressure to respond in hostile ways against the USA. Is NATO about to commit the classic mistake of “Empire Overreach”? If so, history provides us with countless examples that the collapse of an empire invariably produces widespread conflicts. The Arab Summer could develop into NATO´s Fall. Christof Lehmann, a Danish psychologist and political advisor to the nation’s leaders, posted the original version of this blog at nsnbc.